Monday, 9th June, 2014 – Bitstars.net is pleased to announce that it has just introduced a new age of Bitcoins in the Online Casino industry. This introduction is set to completely change the perception of Bitcoins drastically and Bitstars.net are over the moon that they were the first Bitcoin Casino to reach this milestone. Bitstars.net explained that their beliefs about the near future of Bitcoins and the return the end user will get from it were extremely strong, therefor it was time to say goodbye to all the elements that were keeping players from trying them out. Until now players were a bit skeptical about Bitcoins because the process to get their hands on them was a bit too long and confusing. Players also found Bitcoin to be a bit too complicated to understand and they never found the time to dig into the learning process of new technologies. This however is now all in the past, from today players can look at this as a whole new experience. They can now deposit using Visa, MasterCard, American Express and also Pay Pal with the option to play in Bitcoins and make instant withdrawals in Bitcoin currency. Nikolica Vadaski, head of Marketing at Bitstars commented, “This is a giant leap for the bitcoin industry as we have introduced the option for players to get hold of Bitcoins in a matter of seconds. We are set to drive the adoption of Bitcoins to offer a fantastic user experience where our players can get hold of Bitcoins instantly using their credit card or Pay Pal account. There might be a few casino’s offering the use of Bitcoins out there but at Bitstars.net we don’t just offer them, we truly believe in them”. Bitcoins are set to take the world by storm and by closely following these trends Bitstars.net can foresee an imminent game changer in the virtual currency of Bitcoin. They also have strong beliefs in the return and benefits a player can get by using these Bitcoins such as security and control over their money, zero or low fees and above all, identity protection. With the ability to deposit via credit card you can now get hold of Bitcoins instantly rather than going through a process that can take days or even weeks. 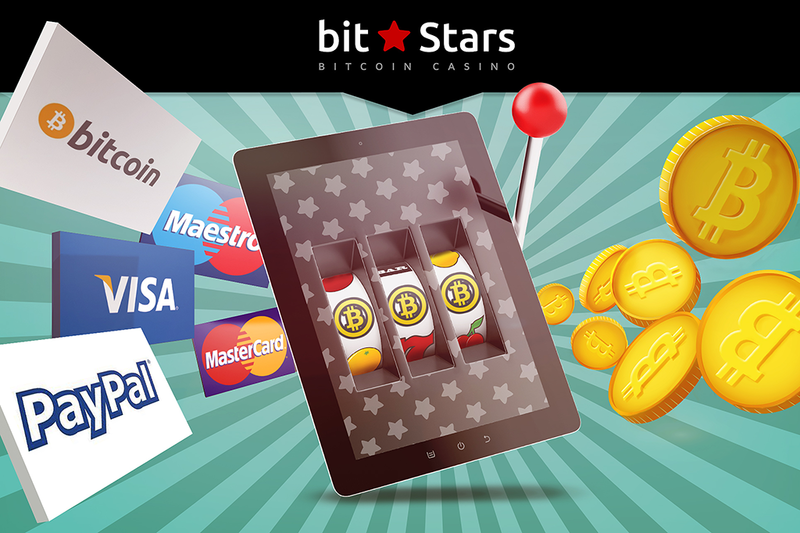 In addition, Bitstars continues to strive to offer its customers a safe, fun and user-friendly online gaming experience and has also just added more than 10 NEW and exciting games all available on mobile. They also kept focus on delivering stunning provably fair games beating competition where it comes to the visuals and game detail. Find out more about Bitcoins Here and be sure to keep on the look-out for bitstars.net news in the coming weeks as there is a lot still to come. Bitstars.net is a unique casino startup that offers a wide range of casino games available to play for real money and bitcoins.